Each bar has a unique serial number located on Assay card. 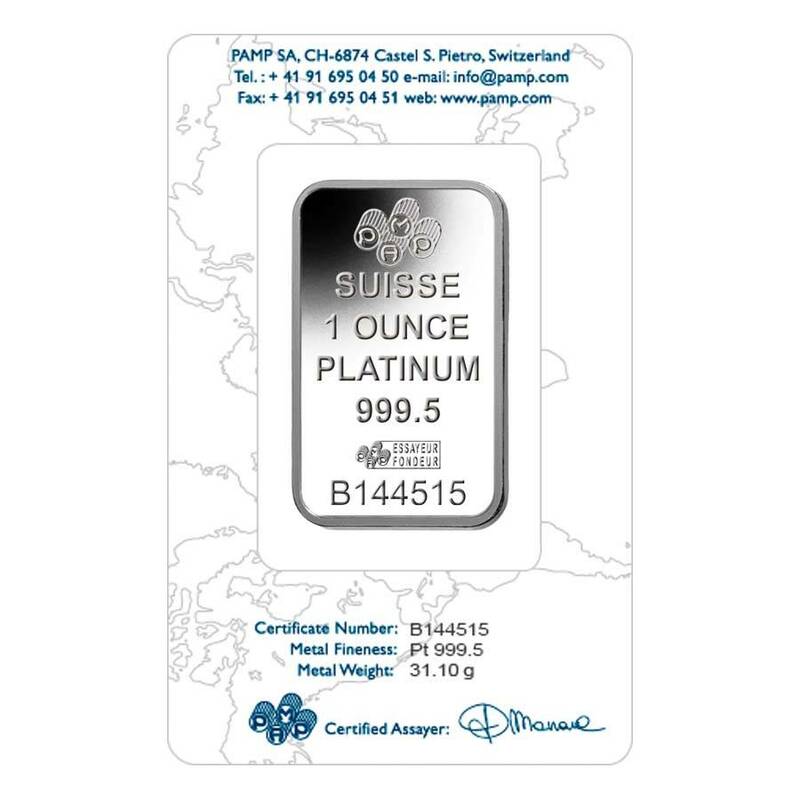 Each of the Fortuna platinum bars contain one ounce of .9995 fine platinum for a total of 25 troy ounces. They each come in an assay card which ensures quality, authenticity, weight and purity. 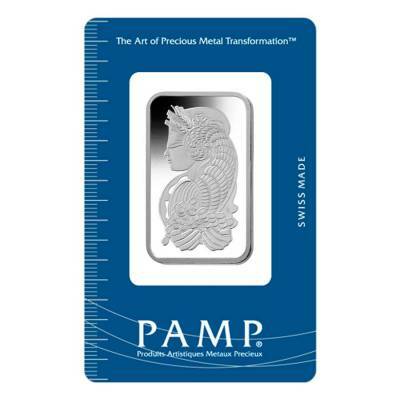 PAMP Suisse is one of the most popular refiners for precious metals. On the front of the bar you can find the Lady Fortuna design which is found on many other PAMP Suisse Bars. On the back of the bar you can find the PAMP Suisse logo, along with the weight, purity and unique serial number. It has dimension of 41 x 24 mm and thickness of 1.5 mm. Like all of our other platinum bars, these are guaranteed to be 100% authentic. Item will be wrapped and packaged safe for delivery. Get this amazing box today! 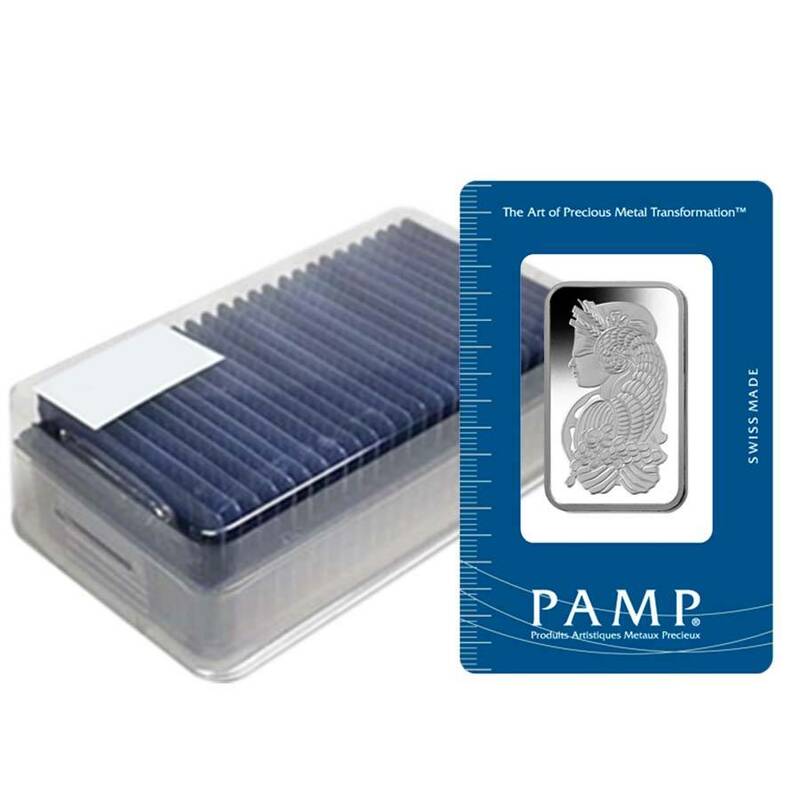 With this purchase, you earn 23320 Bullionaire Bucks 23320 BB = $23.32. For every $1 spend, you will earn 1 Bullionaire Buck which is equivalent to $0.001 off a future purchase. 23320 BB = $23.32.